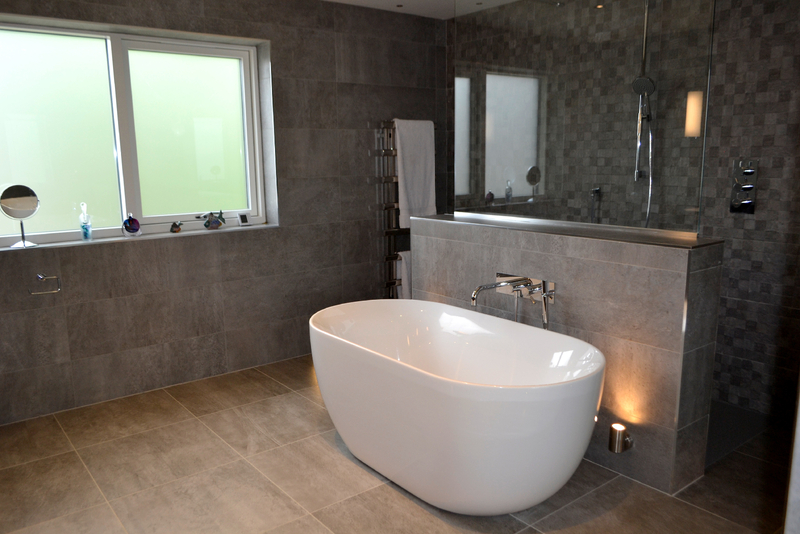 The client’s project was to completely rejuvenate a tired 1970’s house and transform it into a beautiful contemporary living space. 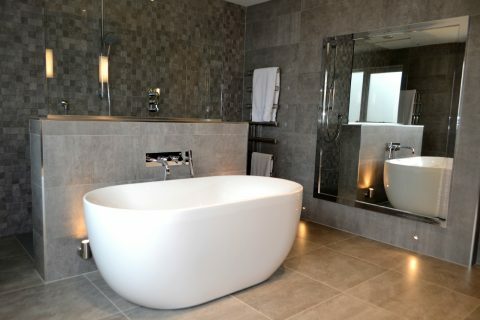 KTB Gallery designed and fitted the kitchen ( https://www.ktbgallery.co.uk/portfolio/beautiful-kitchen-in-cheltenham) and the client saw many bathroom products and tiles on display on our bathroom showroom that they immediately loved. 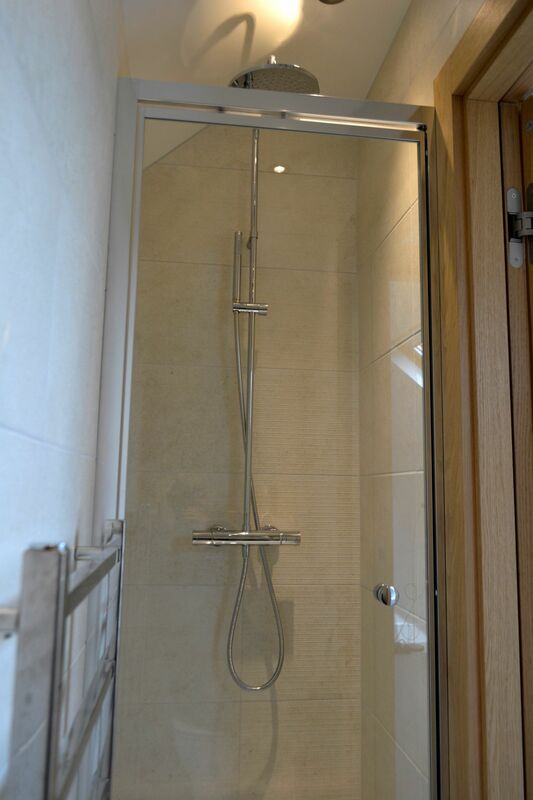 To maximise use of the large area of the master ensuite we designed a separate showering area – building a miniwall behind a Dinkee freestanding bathtub with a glass screen rising from this to create the showering area. 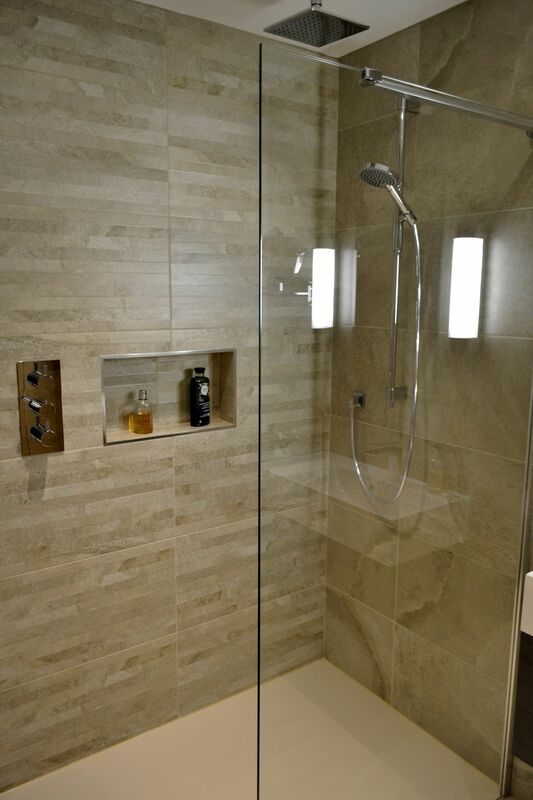 Two bathroom uplighters placed at floor level illuminate the wall and glass screen. 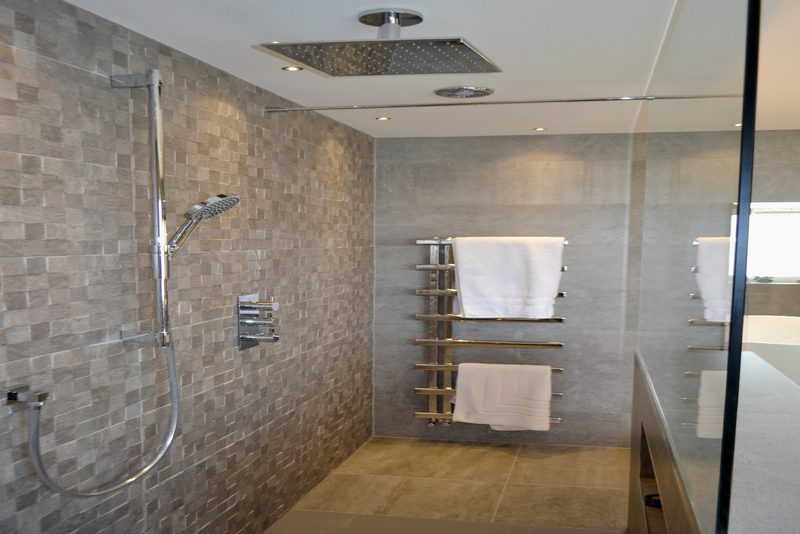 With a ‘His’ and ‘Hers’ entrance to the showering space matching Goodwood Heating Rails were positioned at either end for handy access to warm towels. 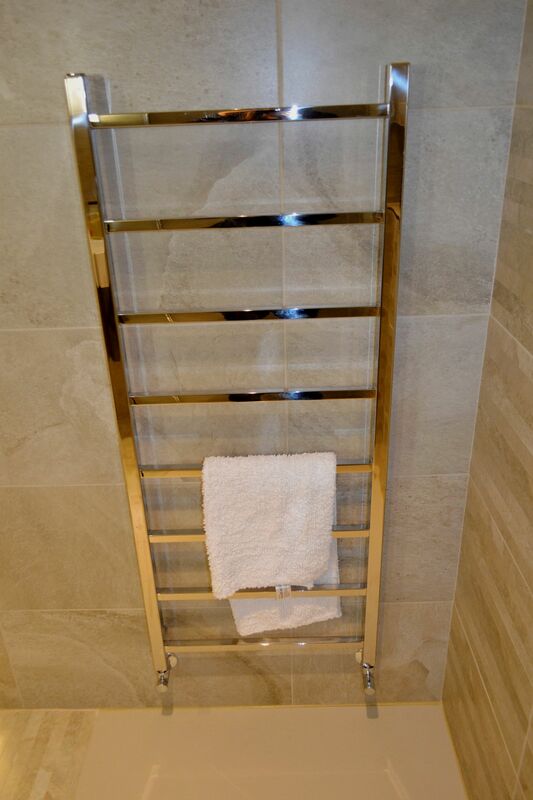 A large Fiora shower tray was sunk into the floor at the same height as the Rodano Light floor tiles and an Ethos shower package with a generous square showerhead completed the look. 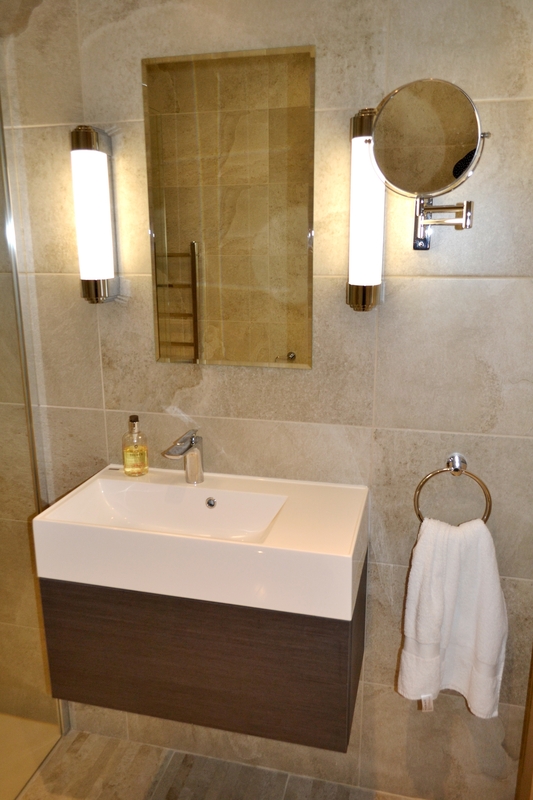 The clients loved the shiny Platinum coating of the Serene basins and matched this finish to the bespoke bevelled Mirrors and light fittings of the room. Although the clients love their master en-suite, the guest bathroom runs a close second in their choice of favourite bathroom. 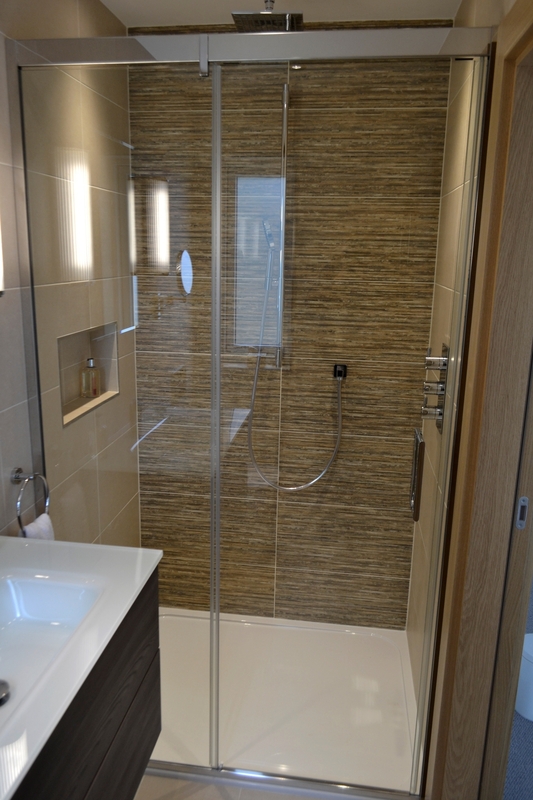 Possibly the wall tiles, Milano Natural plain and décor are part of the reason, along with the generous Design Walk-in Shower and the stylish Elite vanity basin. 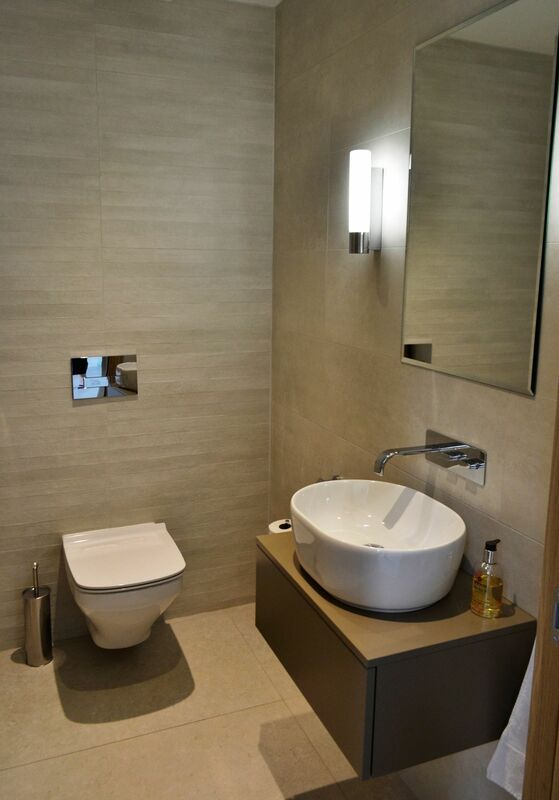 Giving continuity to each bathroom/cloakroom in the house are the stylish and comfortable wall-hung Duravit Durastyle wc’s. 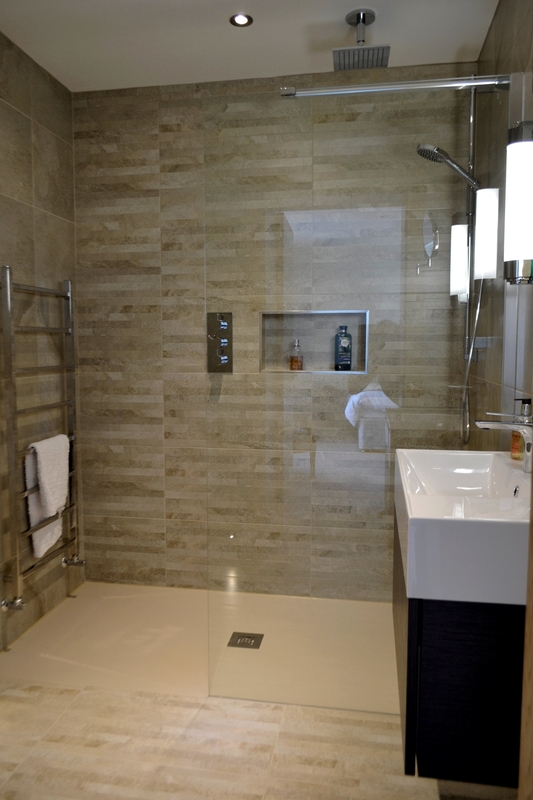 The wow features of this room are the on trend Dansani Luna Fresco glass basin and the quality Matki Eauzone 1200mm slider shower with stone resin tray. 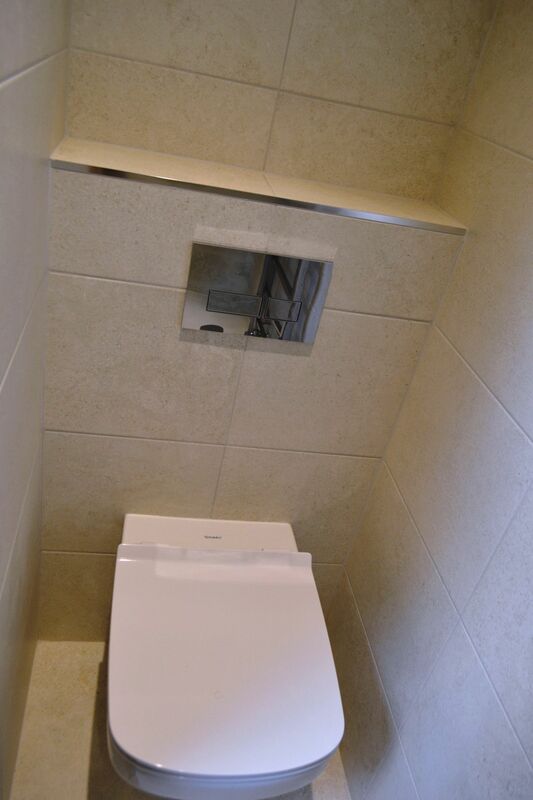 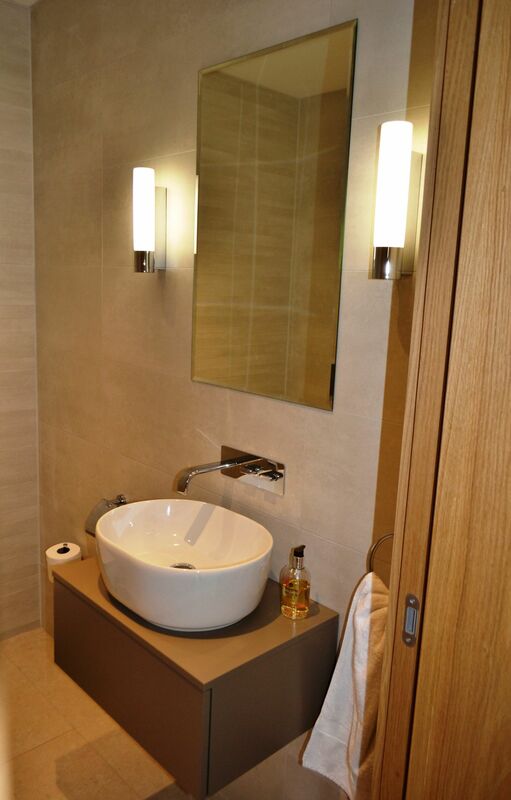 To match the warm wood tones of the vanity unit the clients chose Torina textured wall and floor tiles. 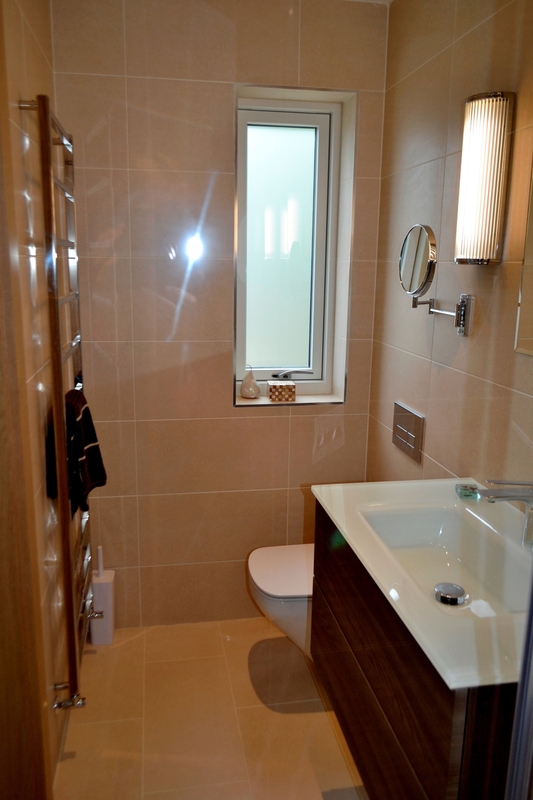 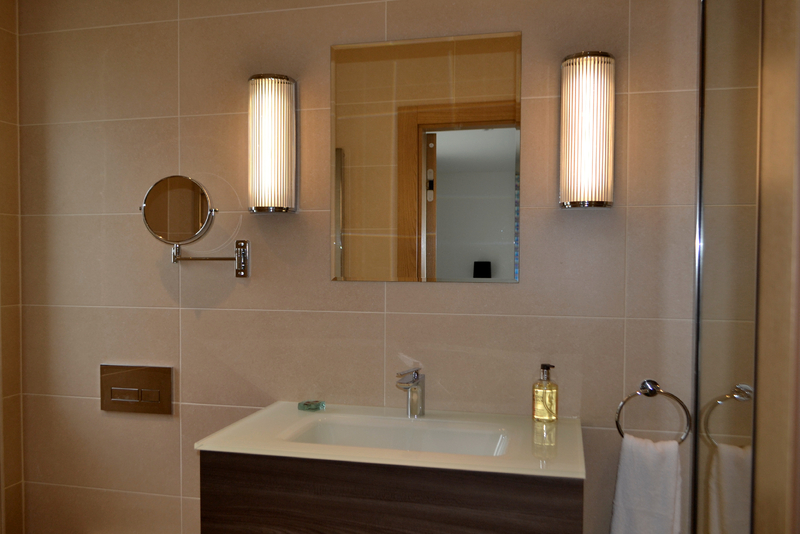 Again, continuity is given to each bathroom by the bespoke bevelled mirrors, lights and Miller bathroom accessories. 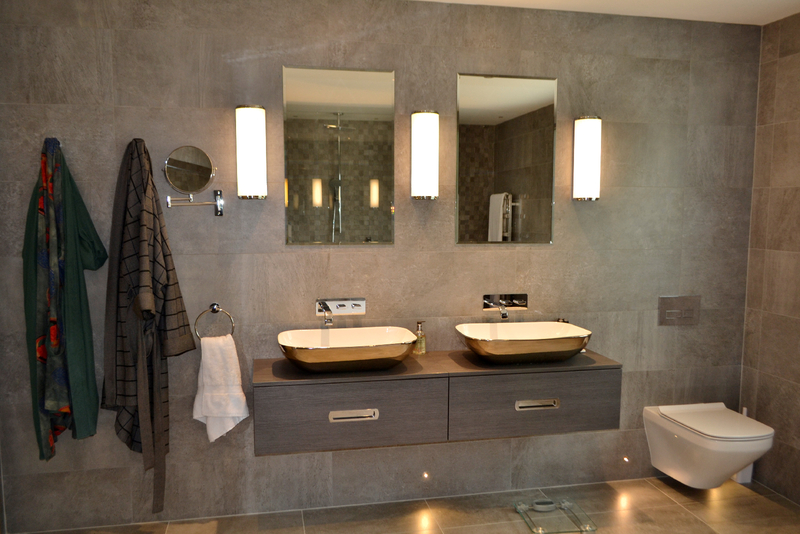 The calming colours of the Torino tiles and vanity unit in this room create a welcoming warm atmosphere. 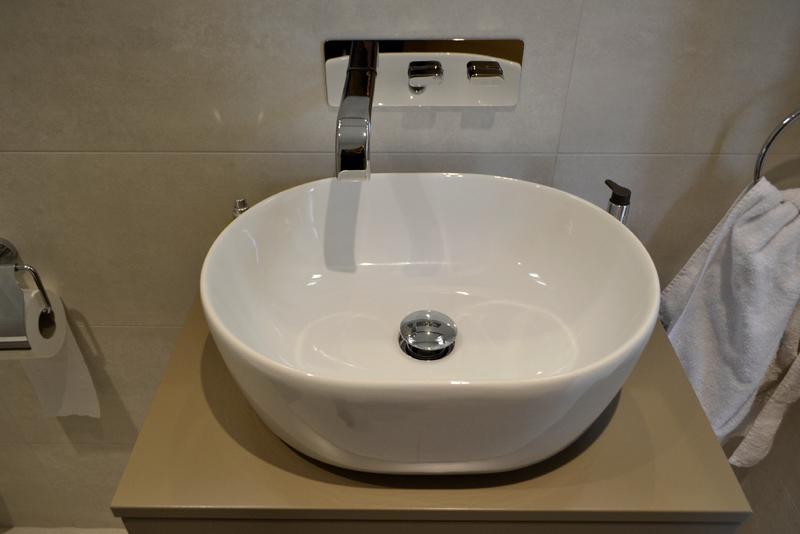 The curvaceous Pearl countertop basin atop the sleek wall hung unit from Vanity Hall provides a generous space for washing hands.